I say it every day, and I have been living this miracle for more than 40 years. Life has brought me so many things during these four decades: I was a car-mechanic at a Mercedes garage, account manager at FCB advertising agency, TV editor at Friderikusz Production, real estate investment advisor at an international law firm in London, associate lecturer in Oxford, occasionally I popped up, and I still do, in international and Hungarian TV commercials, as an economist, I assist the expansion of the Oncompass Molecular Diagnostics Center abroad, and in the past more than 10 years I have been acting as a Master of Ceremonies, Wedding Planner, Moderator and Event Planner at Hungarian and International weddings and corporate events. Wherever I went and whatever I did, I always knew at the bottom of my heart that I needed to work with people! I can easily find the same tune with anybody, regardless of their education, age, race, religion and financial status, so I have decided that I would like to find an occupation where I could utilise these skills on a maximum level in a way that is good for everyone. I have found four areas: in the private sector Master of Ceremonies and Wedding Planner at weddings and in the commercial world Moderator and Event Planner at corporate events. 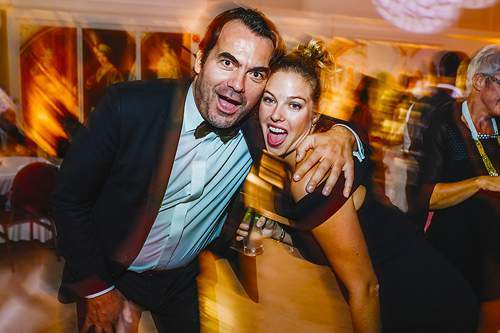 Upon requests I am not only moderating weddings and corporate events, but with my colleague, Eszter, we fully plan and organise them. If I am already booked for a given date, I recommend excellent "trained under my wings" Master of Ceremonies and Moderator colleagues instead of myself. I truly believe that in today's world only those services can prevail which serve a good cause and where values are created. Doing good well! As a Master of Ceremonies and Moderator I represent these two values. I give my face and my name only to those weddings and corporate events with which I can identify myself to the maximum and which endeavour to achieve something good. If these are given, then I come along and do my best to make sure that my events will be entertaining and memorable. For more details, please, click on Wedding Planning or Event Planning button. and then everything went perfectly. However, when the Big Day comes, things suddenly look different: you worry, your clothes, your hair and your makeup will hold you apart, and in vain you tried the shoes on a hundred times, now you feel them more uncomfortable than they were, in other words, you think the rain clouds are gathering over your head. 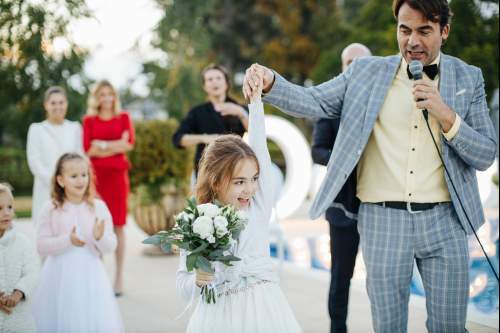 Meanwhile, of course, you would like this day to be unforgettable not only for you, but also for your loved ones and friends, and even years later, you would like them to mention how great they felt at your wedding. 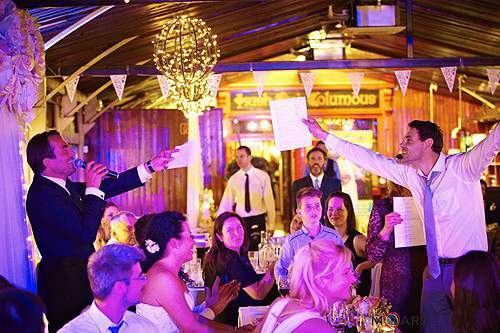 Well, I really believe that as a Master of Ceremonies should not only be the active participant of your wedding in organising, compiling and conducting programs to create an atmosphere or direct the wedding party. I look at this task more seriously: as a Master of Ceremonies I am there to throw those rain clouds over your heads. In addition, I do all this in Hungarian and English. I want not only your guests, but also you two to enjoy your own wedding, because that is the most important! 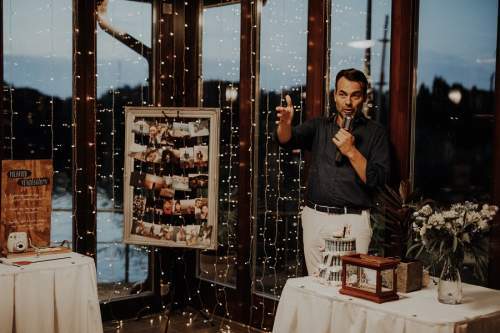 In addition to the above, if you want me to help your Big Day not only as a Master of Ceremonies, but as a Wedding Planner also, then please click on the Wedding Planning button. the role and importance of the official registrar need not be explained, because everyone knows it! However, the official registrar is bound by statutory regulations and must comply with all these conditions. 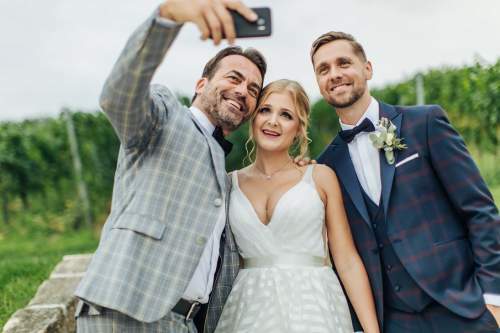 That is why, you often get a civil ceremony that you did not imagine, they do not work on Bank Holidays, they most probably do not speak foreign languages, or they may not be able to come to your dream location, and this was just a few of the additional limiting factors. Due to the few examples above, I started my Wedding Conductor services, which, according to the law, officially does not certify your marriage (you can do it in 5 minutes with two witnesses at any time, in any registry office), however, on your wedding ceremony, conducted by me, anything can happen and could be entirely customised to your personal needs, as you imagined. I undertake my ceremonies in both English and Hungarian. as a Master of Ceremonies I had the opportunity to run a lot of weddings, but I often got into a difficult situation, because the service providers that were not properly selected by the couples - and therefore not providing quality service - made it hard for me to work hard on the big day, thus not having a positive effect on the wedding atmosphere and its success. At the same time, there are a lot of tasks in organising a wedding, which is a great challenge even for experienced wedding planners and event organizers, not for an Engaged Couple, for whom this is their first, and hopefully, last wedding. That is why I decided beside my Master of Ceremonies services together with my colleague, Eszter, to start offering my Master of Ceremonies and Wedding Planning uniquely combined services, because in recent years I have worked together many very professional and trustworthy service providers (i.e. : master of ceremonies, wedding venues, catering, decoration, flower, photographer, cinematographer, band, DJ, hairdresser, make-up artist, wedding dress rental, dance teacher, etc.). As a Wedding Planner, we can help you, from the very first moments of preparations for your Big Day, to think together about how to make your wedding truly unique and personalised. With more than a decade of experience, with my creative ideas, I give the framework, but you fill it up with content, and then we decide together the best service providers for that, so your Big Day will succeed in a way as you dreamed about it. For more details, please, click on the Wedding Planning button. at any event can only be questioned until someone has seen a successful one live. The Moderator is like a conductor. Musical instruments can be played without it, but may not be at the right time and thus false. Some of the events are only one hour long, but some lasts for several days. The palette can be very wide: Christmas, New Year, birthday and team building corporate events, product presentations, workshops, conferences, festive dinners and any other events. Still, the point is the same for all of them: to make everybody feel good! A well-selected presenter, host, moderator or animator with professional experience can be the solution for your occasion not just to be a gathering, but an extraordinary event. It will be extraordinary because all the members of the participants will remember it for a long time and leave the event with great satisfaction. 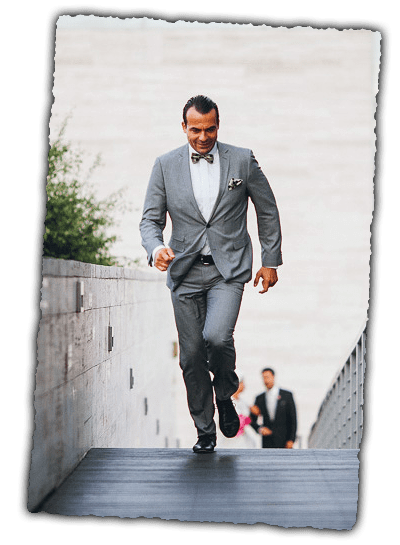 I am looking forward to those enquiries where my personality and professional experience can contribute to the effective achievement of your goals. I undertake the moderation of your events both in both, English and Hungarian. In addition to the above, if you want me to help your event not only as a Moderator, but also as an Event Planner, please, click on the Event Planning button. "Dear Gábor, We wish you a very happy and successful New Year! We are delighted that our wedding has been an everlasting experience for everyone, and it has been interpreted as less work and more fun. Thank you for your work and for your presence. Best regards, Olivia & Shashi "
&bigstar;&bigstar;&bigstar;&bigstar;&bigstar; 5/5 Olivia & Shashi, 2018.08.17. 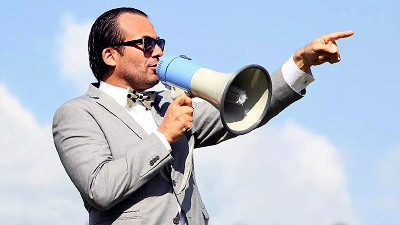 - "Gábor as a Master of Ceremonies is stylish, humorous, and intelligent. He keeps the events in hands, but he does not put himself in the foreground. He takes the attention of the guests with a good sense and directs them to the young couple. Perfect choice!" &bigstar;&bigstar;&bigstar;&bigstar;&bigstar; 5/5 Kriszti & Csongor, 2018.09.29. 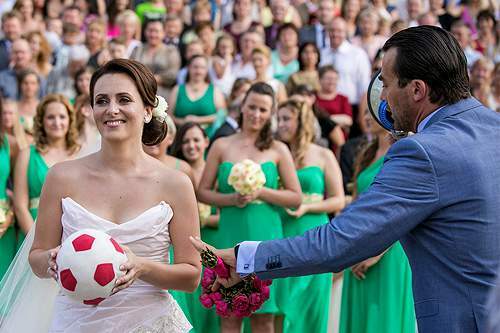 - "Gábor made the wedding humorous and interactive, entertaining and teaming up! :) Everything was perfect! :) Planning and presenting in one hand! :))))"
&bigstar;&bigstar;&bigstar;&bigstar;&bigstar; 5/5 Judit & Ferenc, 2018.09.22. - "Dear Gábor, Master of Ceremonies! Great moderation, with maximum flexibility, helpfulness and tremendous routine, the handling of the unexpected events were also outstanding :-) !!! Thank you for everything!!! " &bigstar;&bigstar;&bigstar;&bigstar;&bigstar; 5/5 Liliána & Ferenc, 2018.09.07. - "Gábor is the best!!! We are very glad that he was our master of ceremonies; we were in very professional and very good hands!!! We will always recommend him to everyone in the future! :)"
&bigstar;&bigstar;&bigstar;&bigstar;&bigstar; 5/5 Bogi & Ákos, 2018.08.18. - "Gábor has perfected everything, without any mistake, in a smart and intelligent style as we agreed in advance!!! He is the best Master of Ceremonies!!!" &bigstar;&bigstar;&bigstar;&bigstar;&bigstar; 5/5 Nikolett & Anti, 2018.08.10. 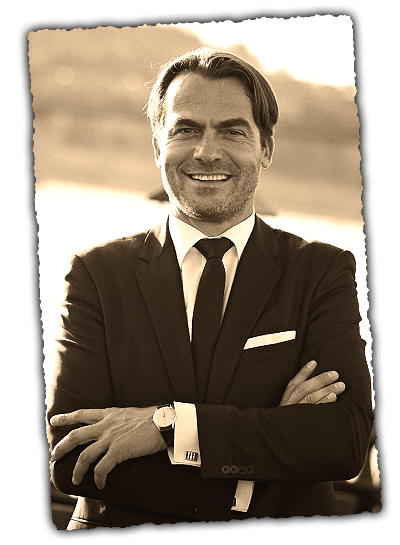 - "We truly recommend Gábor to everyone, because he has taken a lot of burdens from our shoulders, holding the events of the day, and having a good time with the guests. In addition to elegance, humour was present all through the evening, ensuring a good mood. 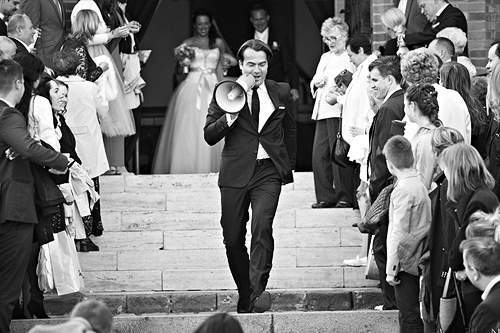 Anyone who chooses Gábor can be confident that their wedding will be entrusted to a professional Master of Ceremonies." &bigstar;&bigstar;&bigstar;&bigstar;&bigstar; 5/5 Noémi & Gábor, 2018.08.04. 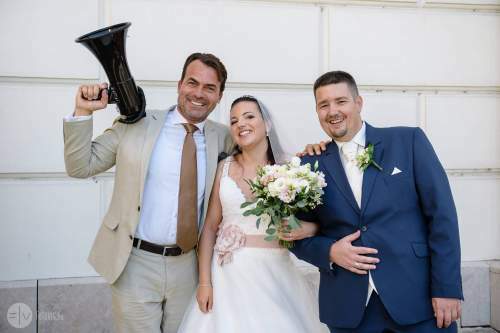 - "Gábor is a very good master of ceremonies, especially for international weddings, where there are many foreign guests, because he brings people together and coordinates the events. He is very professional and knowledgeable, helpful and funny." &bigstar;&bigstar;&bigstar;&bigstar;&bigstar; 5/5 Karine & Gábor, 2018.08.03. - "Dear Eszter and Gábor, Thank you very much for making our wedding perfect, so we did not have to worry for a moment! You have kept everything in your hands, you have sorted out everything, we just had to enjoy the moment! 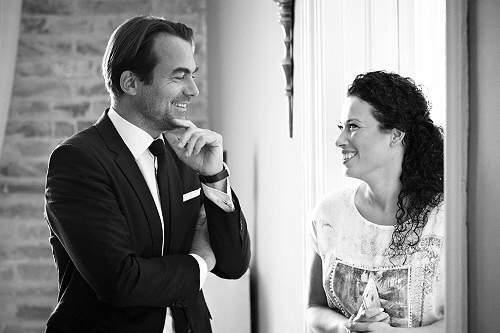 Eszter as a wedding planner and Gábor as a Master of Ceremonies are the perfect choice if someone wants a professional, relaxed, cheerful and elegant wedding, they must choose them. Well-organized, perfect work with a perfect team! We loved every minute! Ineffable gratitude because we got a perfect wedding! " &bigstar;&bigstar;&bigstar;&bigstar;&bigstar; 5/5 Kriszta & Tibor, 2017.05.19. - "Dear Gábor master of ceremonies! You are the guarantee for a perfect wedding. You contributed greatly to the good mood and you were taking full control of the events. Thank you once again for our hyper-super-wedding. We and our guests felt very well, many said that they had never been in such a good mood wedding. We wish you many more success and beautiful summer!" &bigstar;&bigstar;&bigstar;&bigstar;&bigstar; 5/5 Laura & Karesz, 2018.06.02. - "Dear Gábor master of ceremonies! I can tell you with complete honesty, that every guest I spoke to commented on how you were so professional, witty, friendly, fun, and helpful. You really were incredible, and that’s not a word I use lightly. Thanks again for making our day perfect." &bigstar;&bigstar;&bigstar;&bigstar;&bigstar; 5/5 Tony & Kay, 2018.04.07. - "Dear Gábor master of ceremonies! Firstly, I wanted to say a huge thank you for your part in making our wedding such a happy occasion. You were utterly fabulous! From the moment, we first met you in February, we knew it was going to be something special. We placed our trust in you and we weren’t wrong! I can say with all honesty that we felt totally at ease and your many suggestions helped to make our day extra special. All our guests commented upon how great you were from beginning to end. You were attentive to all their needs and your humour and gentle guidance were second to none!! I wish I could have paused time! The atmosphere you helped to create on our wedding day should have been bottled! Thank you also for guiding us throughout the day – it was a day that we will never forget – truly magical!" &bigstar;&bigstar;&bigstar;&bigstar;&bigstar; 5/5 Kay & Tony, 2018.04.07. - "Dear Gábor master of ceremonies! We are very grateful for your professional and all-round kindness in relation to our wedding ceremony. Thank you for the many ideas and attentions we received during the organization and on the big day also. But most of all, you were able to identify with us, and you really appreciated what we wanted and how we wanted it. You have a very important role for such an unrepeatable occasion. We can honestly say that you are outsmarted the given tasks by your personality; with your straightforwardness, clarity and reliability you bring peace of mind during the organization and on the big day also. From our pure heart we wish you happiness and satisfaction in your work and in all other areas of your life." 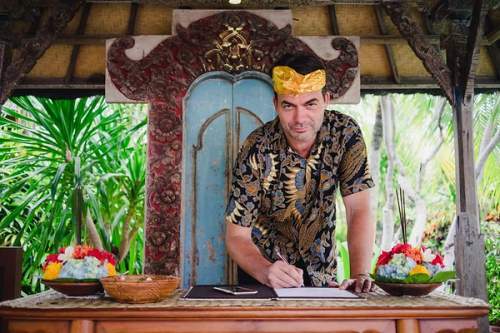 - "Dear Gábor master of ceremonies, sorry that we are only signing in now, but we would like to thank you very much for everything we have received from you on the wedding day and before that. The many smiling faces that look back from the pictures, are thanks to you and to your advice, we are sure. " &bigstar;&bigstar;&bigstar;&bigstar;&bigstar; 5/5 Kinga & Roland, 2017.08.26. - "Gábor master of ceremonies was very direct and friendly!" &bigstar;&bigstar;&bigstar;&bigstar;&bigstar; 5/5 Anna & Aaron, 2017.08.04. - "Dear Gábor master of ceremonies! You know very well that my husband and I are currently working in the wedding business. We are always recommending you to our customers if they have not yet signed a Master of Ceremonies. You are very professional. You took care of everything in our wedding, you managed it well, but you did not focus on yourself, but only on us. These positives were also noted by our guests. We had nothing to worry about, we just drifted into the events. Everything was perfect, thank you Gábor." &bigstar;&bigstar;&bigstar;&bigstar;&bigstar; 5/5 Gabriella & Tibor, 2017.07.15. - "Dear Gábor master of ceremonies! Thank you very much for helping us in conducting our wedding as well as your dedicated work during the planning phase also! We are very grateful, our guests and we also felt very good on our Big Day, the whole day happened exactly as we imagined and that is mainly thanks to you!"" &bigstar;&bigstar;&bigstar;&bigstar;&bigstar; 5/5 Szandra & Máté, 2017.07.08. - "Gábor is the King of the Master of Ceremonies... and I have already recommended him to others :-)"
- "He is the best master of ceremonies. Period. Really professional." &bigstar;&bigstar;&bigstar;&bigstar;&bigstar; 5/5 Emese & Jenő, 2017.06.23. - "Gábor master of ceremonies is a true professional; he is on “stage” as much as it needed." 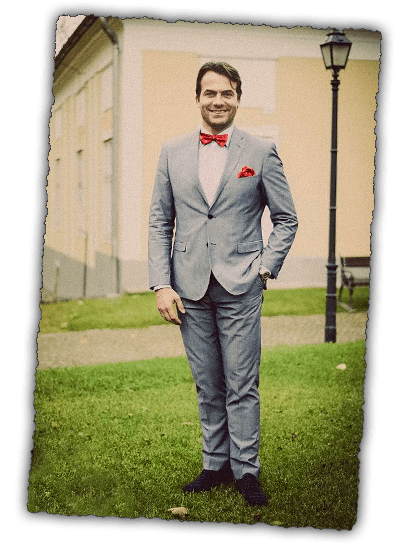 - "In addition to our own wedding, Gábor was the Master of Ceremonies at the weddings of two of our close friends, and we were totally satisfied with the service that he was offering there. Gábor simply does a perfect job :)"
&bigstar;&bigstar;&bigstar;&bigstar;&bigstar; 5/5 Katalin & Ákos, 2017.05.20. 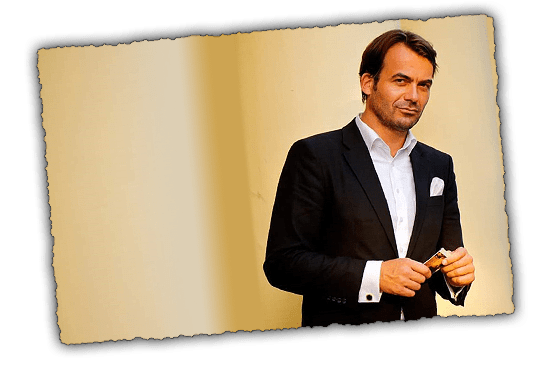 - "Gábor master of ceremonies has helped us a lot in the preparations; all our guests and we also thought that he was very good, we could not imagine better service." &bigstar;&bigstar;&bigstar;&bigstar;&bigstar; 5/5 Gina & Gábor, 2017.04.22. 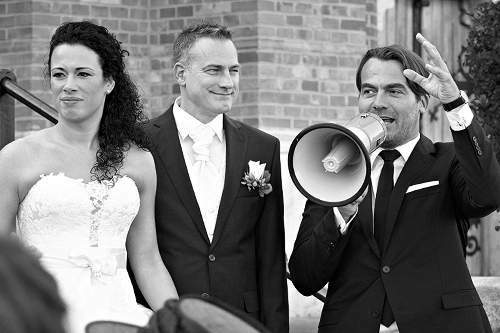 - "Our wedding was perfect; Gábor's master of ceremonies professionalism, calmness, and preparedness fascinated everyone. It was a very fun, family-like wedding, Gábor partied with us, enjoyed the evening - at least I hope - while everything was smooth. 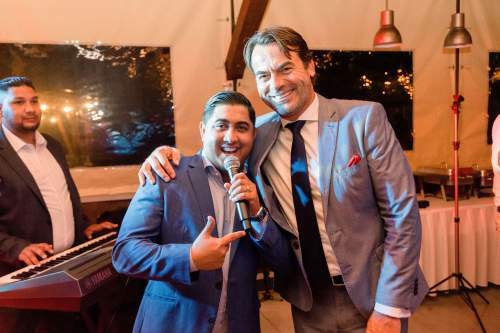 Gábor has a very good sense of humour and that was very important for us :-) Many acquaintances and family members specifically noted that the Master of Ceremonies was a big hit and really needed." &bigstar;&bigstar;&bigstar;&bigstar;&bigstar; 5/5 Krisztina & Shane, 2017.01.07. 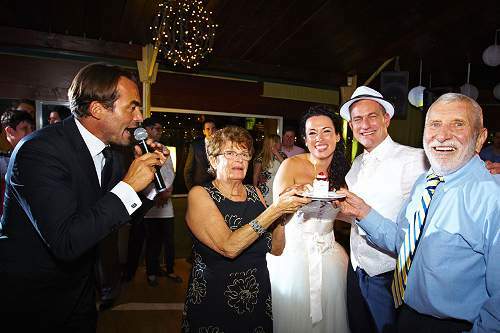 - "Gábor master of ceremonies has helped us in everything and was very attentive with all the guests! 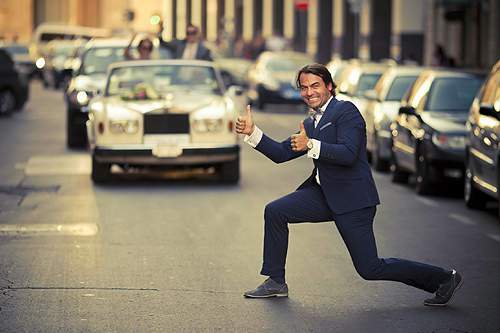 His personality, sense of humour, energy and elegance added a lot to our wedding. " &bigstar;&bigstar;&bigstar;&bigstar;&bigstar; 5/5 Kati & John, 2016.09.03. 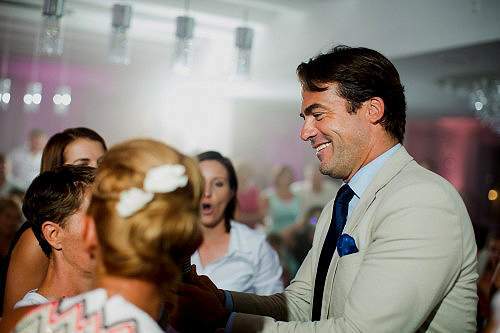 - "Based on the feedbacks from our guests Gábor master of ceremonies was extremely professional, kind and considerate. 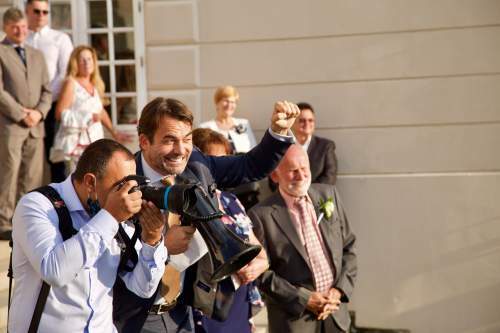 Four guests also indicated that they would definitely want Gábor at their own weddings as master of ceremonies. " &bigstar;&bigstar;&bigstar;&bigstar;&bigstar; 5/5 Dia & Norbi, 2016.08.27. 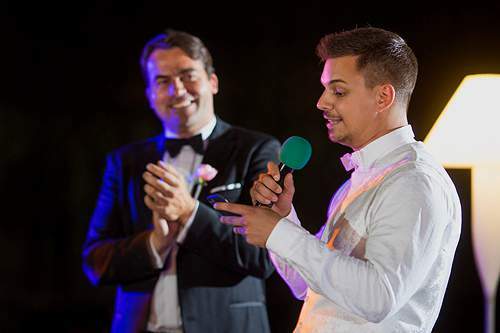 - "Gábor master of ceremonies is a true professional. In every situation he knows what to do and what everyone needs. Eszter wedding planner is the embodiment of problem solving. Whatever you ask, she arranges everything and very quickly. Eszter and Gábor have paid attention to every detail, they are always on top, immediately respond emails and questions. Hats off! " &bigstar;&bigstar;&bigstar;&bigstar;&bigstar; 5/5 Iza & Krisztián, 2016.08.12. 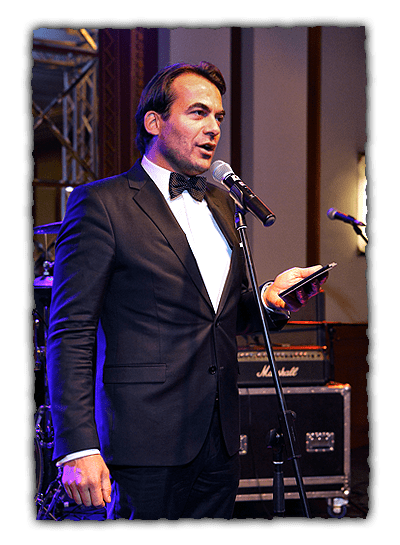 - "Gabor master of ceremonies is impeccable, both, professionally and humanly! He represent the highest standards in every respect! We love Gábor! " &bigstar;&bigstar;&bigstar;&bigstar;&bigstar; 5/5 Kati & Bence, 2016.07.30. 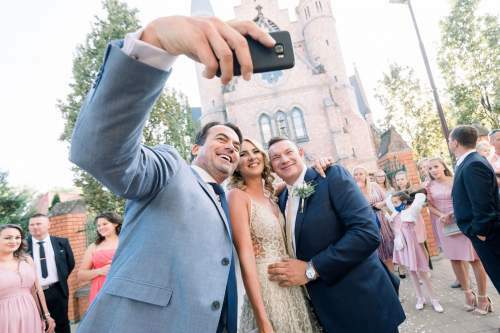 - "Eszter wedding planner and Gábor master of ceremonies were very responsive throughout the entire organization of the wedding, everything went fine, everything we could talk about, you are a great team! Many guests noted how handsome Gábor was. " &bigstar;&bigstar;&bigstar;&bigstar;&bigstar; 5/5 Erika & Laci, 2016.07.22. 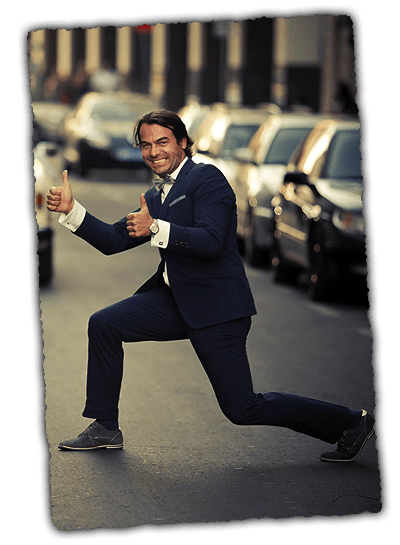 - "We gladly recommend Gabor as a master of ceremonies for his sunny personality, bohemian and likeable character, and last but not least his exceptional professionalism that makes him indispensable for a successful and memorable wedding. He ensures a proper structure and execution of a wedding and relieves the young couple from any burden on the big day. We strongly believe that Gabor was the best choice on our part and we thank him once more for his precious contribution! " &bigstar;&bigstar;&bigstar;&bigstar;&bigstar; 5/5 Andi & István, 2016.06.25. 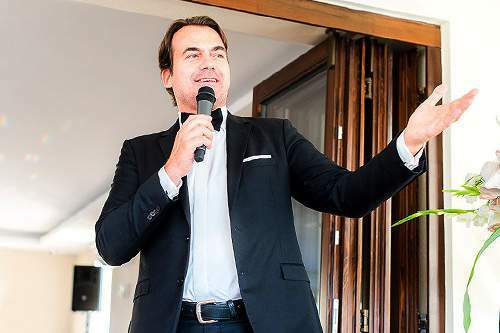 - "Gabor as a master of ceremonies is easy, elegant, laid-back ... simply great :)! " &bigstar;&bigstar;&bigstar;&bigstar;&bigstar; 5/5 Dia & Csaba, 2016.06.18. - "Dear Gabor master of ceremonies! It is a daily recurring contemplation about our wedding, its atmosphere and its fullness. Many thanks for your constant attention, for the fantastic ideas and for the lot of care that you gave us. Huge thanks for the fact that we did not have anything to do, but to feel good ourselves! We cannot promise that we do not write about this topic to you in the future, and we also hope that you do not mind if about this miracle, what you are doing, we report publicly, once we collected the intellectual ammunition. With trillions of hugs, undying gratitude and lots of love we thinking of you!" &bigstar;&bigstar;&bigstar;&bigstar;&bigstar; 5/5 Niki & Sanyi, 2016.06.17. - "Dear Gábor master of ceremonies! Thank you for everything and for your contribution making the most beautiful day of our lives perfect! Our guests are raving how professional, funny, humorous and kind you were and how good your English accent was ... shall I continue the list? J We were fully satisfied with your services, thank you so much again for everything.” Péter: Really appreciate everything Gabor! In the last days you were the missing puzzle, few sleepless nights for Dia, but luck was with us, so we were glad that that finally we could manage to “sign you up” to our wedding. 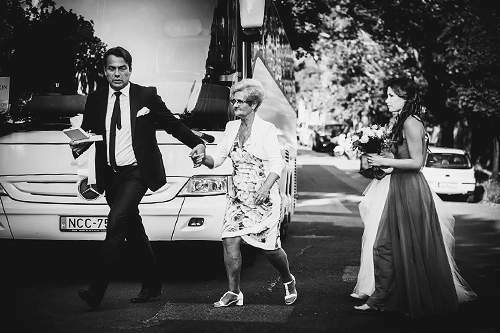 The way you treated not only our guests, but managed to look after us hundred percent also proved why we wanted to have you on board at any cost, and to be part of our Big Day. My dad, who does not talk much and when he does he keeps it short said: „the key to this wedding was Gabor…not Dia….and not you my Son, but Gábor!" &bigstar;&bigstar;&bigstar;&bigstar;&bigstar; 5/5 Dia & Péter 2016.05.28. - "Dear Gabor master of ceremonies! We would like to say a huge thank you for making our wedding day perfect. Throughout the entire day you were cool and easy, hence we were able to stay calm on our big day, because I felt from the very beginning that we were in very good hands. The attention to every little detail that you provided was outstanding, I could have not found any mistakes, even if I looked to find it. The attention about all the guests was magical, you have pocketed many praise without you knowing them. Everyone was really really satisfied with you. The way you handled a panic situation (eg. when I left the wedding bouquet somewhere :-)) really helped me to not change into a Bridezilla. I thought the whole day would go with nervous stomach and stress; instead I just smiled and shone focusing on the guests, so that left good memories in us also. One could not recall any moments when you were not on top of things; you kept everything perfectly in your hands, so many thanks for this too. We will recommend you to everyone. Krisztián says big thanks for helping him with his speech with your four pillars recommendation. So once again many many thanks, and I think we will me in the future:-)"
&bigstar;&bigstar;&bigstar;&bigstar;&bigstar; 5/5 Enikő & Krisztián 2016.05.07. 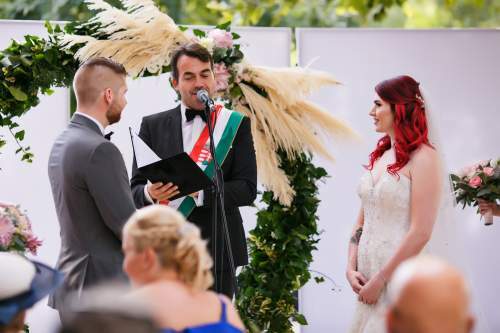 - "We were looking for a Master of Ceremonies, who we could fully trust and we can fully rely in about the coordination of our wedding, who creates a good atmosphere and who does not let the chaos or even boredom to overcome. In Gabor we found all these. 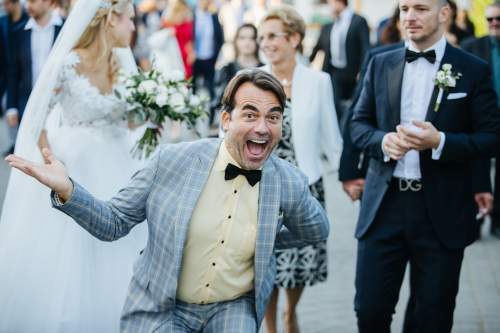 Even before our first meeting, we heard one of the staff member of a wedding planning company that where Gabor is the MC, there is no longer need for them. And that's really the way it was - from the beginning, everything was very well organised, but still on the loose end, with just as much playfulness and humour as was needed. During the planning of the wedding, he was trying to found a suitable solution to our desires or even to our problems, and he was there always beside us, thus we constantly knew that our wedding was in good hands. The guests loved him and I think after us he was the most popular person on the spot, because when we were asked by the guests how we were, the question was quickly followed by the question: "Who is he?" :) I still get the congratulations, feedback from Hungarian and foreign friends, relatives, and people say it was the best wedding they have ever participated in - and this is largely due to Gabor. We had an amazing time at our wedding too and we are very pleased to meet you - such as a Master of Ceremonies and also as Gabor. We look forward to also participate as guests on a wedding where the microphone will be in your hands! :) One more thing? 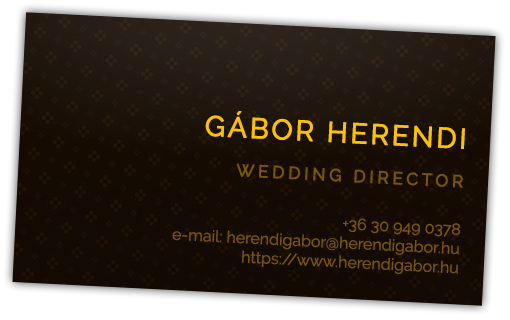 : all the engaged couples at our wedding asked for a business card from Gabor! :)"
&bigstar;&bigstar;&bigstar;&bigstar;&bigstar; 5/5 Reni & Joki 2015.07.17. - "Dear Gábor master of ceremonies! We want to say a huge thank for your work; you did our great day super good! Thank you for all the professionalism and leadership with which you overwhelmed all the wedding guests and introduced them into all the processes, this team was not very easy at all:) Muchissimas gracias por todo ! Best regards,"
&bigstar;&bigstar;&bigstar;&bigstar;&bigstar; 5/5 Réka & Alfonso, 2015.06.27. 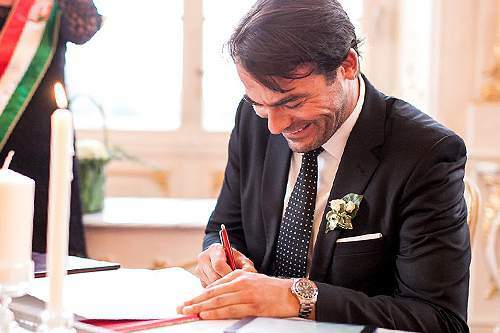 - "Dear Gabor master of ceremonies, on behalf of Max and the entire wedding party we would like to say a huge thank you for your professional job. You were the number one object of praise as details of the wedding were discussed. Everyone were gushed how attentive, polite, determined, humorous and useful you were :) Personally, I was immediately relieved when you appeared on the scene and all the "do not know" and "maybe" questions from the venue were quickly answered by you, and finally we just had to deal with ourselves in the remaining time. Thank you very much to you for professionally resolving every situation, your attention and kindness was vitally important part of the event. Hats off to do these twice (occasionally three or even four times) during weekends! I hope you had a comfortable accommodation and that you could relax a bit before your departure. Huge thanks for everything!" &bigstar;&bigstar;&bigstar;&bigstar;&bigstar; 5/5 Reka & Maxime, 2015.07.24. - "... I remember our first meeting, during which I was so nervous :), but once we started our conversation and you started to talk and talk and talk ... well I/we immediately knew that we were at a very good place! True, we even we felt that before ... :) It was so reassuring that you passed all your ideas and instructions with an incredible coolness, kindness, intuition, patience, empathy, energy and professionalism. We had nothing to be nervous or worried about! OK, I have to admit that on the Big day I was quite nervous, because I was really looking forward to see Bence! :) All in all, everything went beyond all our dreams, because you have created a wonderful and unforgettable day that we will remember forever. Thank you that you were part of it! I hope to meet again soon, because we got to know a really super person in you whom we have closed into our hearts! Let's keep in touch Gábor master of ceremonies :-) Lots of love,"
&bigstar;&bigstar;&bigstar;&bigstar;&bigstar; 5/5 Zsófi & Bence, 2015.06.19. 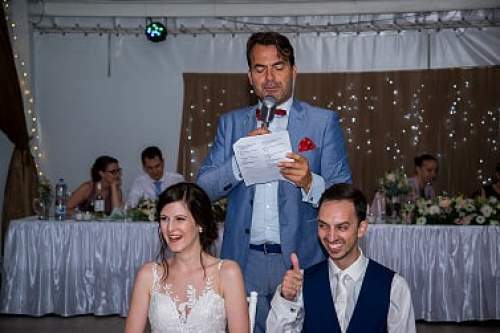 - "Coming back from our honeymoon, we would like to thank you once again for your kind help and for the perfect day in which you had a huge part Gábor master of ceremonies! You really were an essential solution to help us and gave security in order to do run the whole day smoothly and happily. We hope you felt as good as we did! :) Thank you very much again!" &bigstar;&bigstar;&bigstar;&bigstar;&bigstar; 5/5 Angéla & Dani, 2015.06.13. 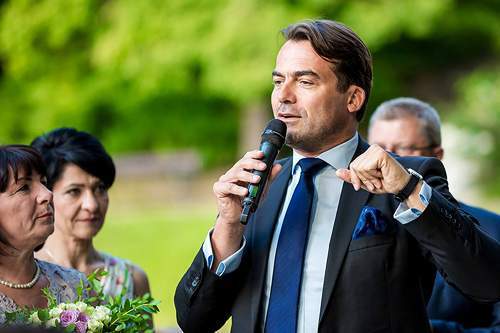 - "Everybody was amased by our Master of Ceremonies:-)"
&bigstar;&bigstar;&bigstar;&bigstar;&bigstar; 5/5 Kinga & Mark, 2014.08.22. 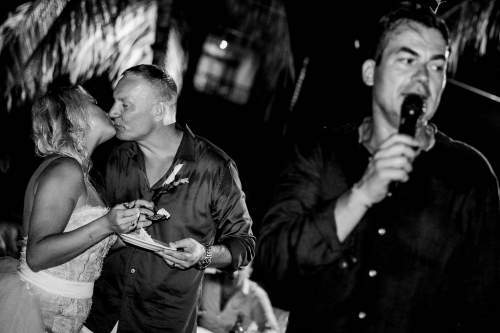 - "We were truly satisfied with Gábor's job as a master of ceremonies; he created a fantastic atmosphere on our wedding!" &bigstar;&bigstar;&bigstar;&bigstar;&bigstar; 5/5 Zsuzsi & Márk, 2014.09.27. 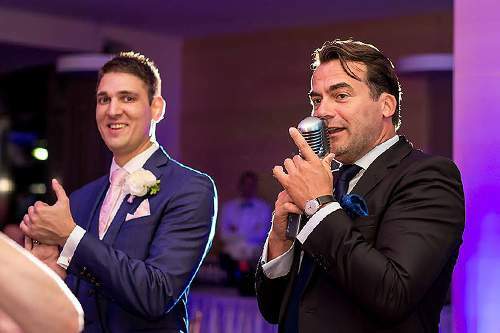 - "Gábor as a master of ceremonies provided a perfect job. Our guests did not fall apart, they were constantly kept on the move, no one was bored and this job was not put on us at all. As a result, we could truly enjoy every minute of our wedding." &bigstar;&bigstar;&bigstar;&bigstar;&bigstar; 5/5 Dóra & Attila, 2014.07.19. 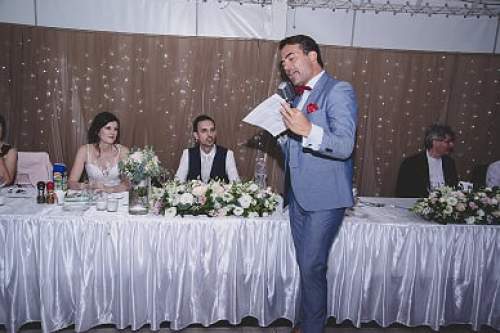 - "Gábor master of ceremonies organised everything perfectly at our wedding; it is a pity that we did not ask him to be our wedding planner also, not only our master of ceremonies!" &bigstar;&bigstar;&bigstar;&bigstar;&bigstar; 5/5 Alexandra & Ádám, 2014.08.09. - "We're very sorry that a perfect wedding is only happens once in someone’s life, because we really want to repeat exactly the same way as it happened on this Saturday, with the same people and with the same service providers. Gábor was a fantastic Master of Ceremonies!" &bigstar;&bigstar;&bigstar;&bigstar;&bigstar; 5/5 Orsi & András, 2014.09.13. - "Gábor as a Master of Ceremonies took on all the stress of running the event and everything went well. No stress on the day for either the bride or groom. We like his socks and all our guests thought he was great!" &bigstar;&bigstar;&bigstar;&bigstar;&bigstar; 5/5 Teri & Simon, 2014.09.19. - "In one thing we were absolutely sure with my fiancé: the professionalism of our Master of Ceremonies! We knew that he was the person that we did not have to worry at all." &bigstar;&bigstar;&bigstar;&bigstar;&bigstar; 5/5 Melinda & Rownak; 2014.06.06. For sending a message fill in the boxes below and click "SEND" button. For sending a direct e-mail just click the business card..
website by gabor barati - 2018.